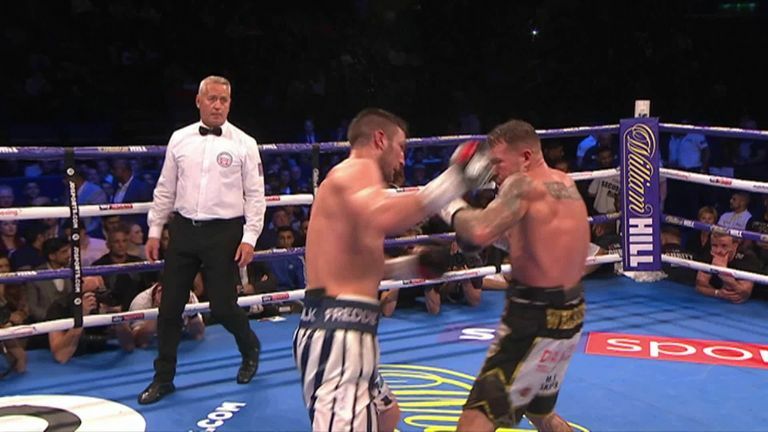 Jason Welborn earned another thrilling victory over Tommy Langford as he retained his British middleweight crown in Birmingham. 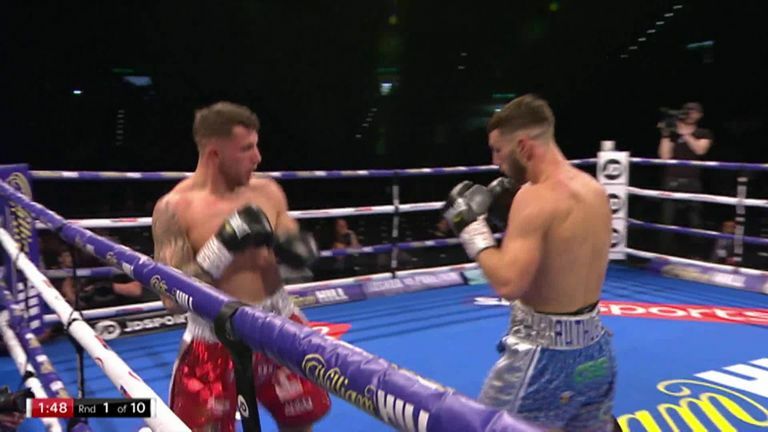 Following on from their barnstormer in Walsall Town Hall earlier in year, which Welborn took via split decision, the two West Midlands' middleweights again put on a thunderous show as they traded leather over 12 rounds of relentless action. Welborn snatched the coveted Lonsdale belt from Langford with that previous win and he managed to repeat that outcome, scoring two early knockdowns on his way to a 114-113, 115-114, 113-114 victory. Having twice been on the brink of defeat after two crashing right hands scrambled the former champion's senses, Langford showed tremendous courage and bravery to weather the early storm. The avid West Brom supporter then came on strong in the second half of the contest and gave his all in a bruising encounter but ultimately came up short. Scott Fitzgerald was almost on the end of a major upset but dug deep to produce a showstopping final-round finish of Craig Morris following a gruelling battle. In what proved to be a painful night's work, 'Fitzy' was pushed all the way by his Shropshire counterpart as he struggled to cope with the relentless pressure over 10 rounds. The Preston super-welterweight, now 11-0, managed to find a heavy left hook though that led to the referee stopping proceedings with less than 45 seconds left on the clock. Fitzgerald looks set to take on Rio 2016 Olympian Anthony Fowler next in a crunch domestic clash. 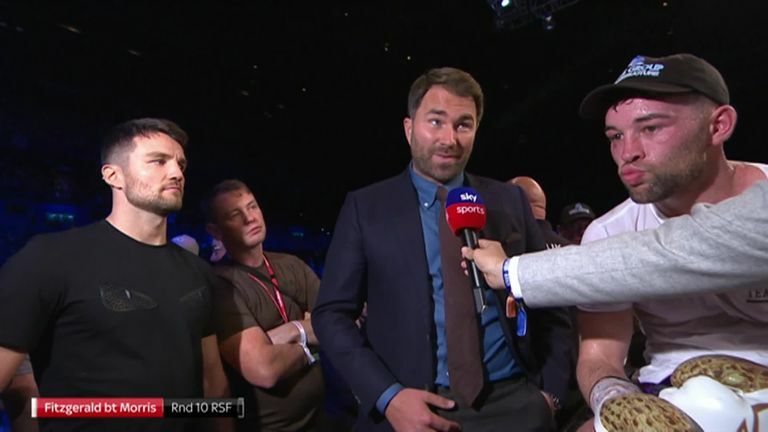 Speaking afterwards, Fitzgerald said: "It was harder than I expected, I managed to find something and put him away in the 10th and final round. "Training and sparring went well and I was confident but I couldn't step through the gears. Maybe I need to change a few things. "Whenever Fowler is ready, I'm ready for it." Earlier in the night, Ryan Kelly exploded out the blocks to destroy Kelcie Ball inside one round and successfully defend his Midlands Area super-welterweight title. Before Kelly's blistering win, fellow Birmingham fighters Gamal Yafai and Shakan Pitters also scored early finishes much to the delight of the home crowd as 'Iron Man' Osman Aslam moved to 13-0 with a third-round stoppage. Rio 2016 Olympian Qais Ashfaq notched up his third win in the paid ranks, while Keiron Conway and Northern Ireland duo Steven Donnelly and Sean McComb also extended their unbeaten records.